My definition of writerly heaven? A dozen of us in a room with Booker Prize-winning author, Ben Okri. His 10 Truths About Writing changed my world. Maybe they’ll change yours too? Caroline L. Barron with Ben Okri. Auckland May 2015. Copyright Caroline L. Barron 2015. Want to know more? Here’s a Verve Magazine article I wrote about Okri’s master class. 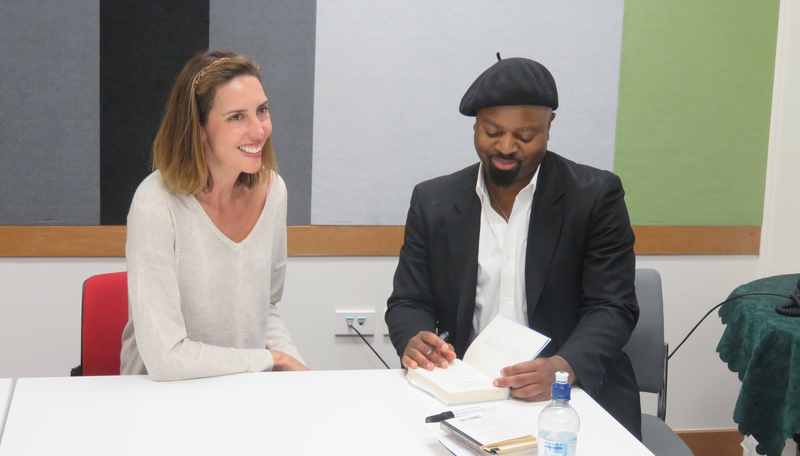 Thank you Paula Morris for inviting Ben Okri to our University of Auckland Master of Creative Writing class. Thank you Ben Okri for saying yes. Thank you Auckland Writers Festival for getting him to New Zealand. Lucky, lucky us. I love number 8 – it reminds me of how there are a million songs, books, essays, poems, and films about love, but they are all different in their own way.